A Brain-Teaser for one player. 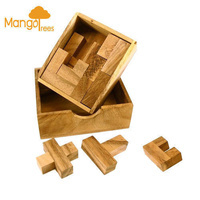 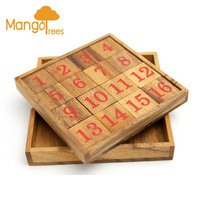 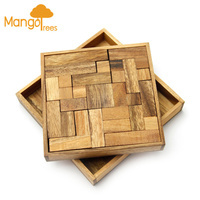 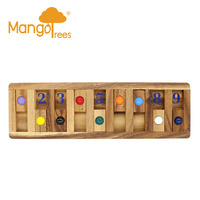 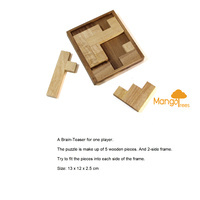 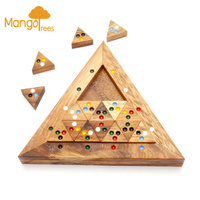 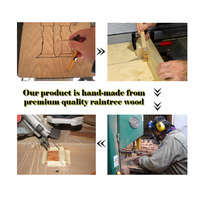 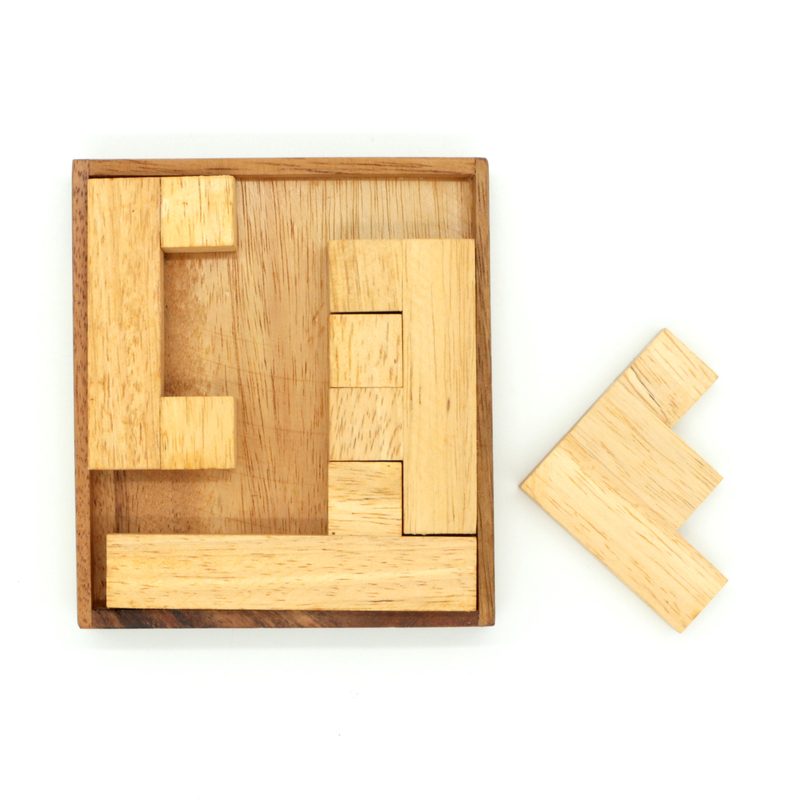 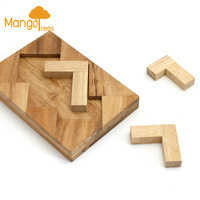 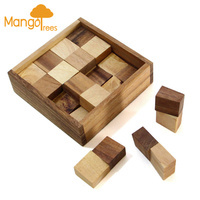 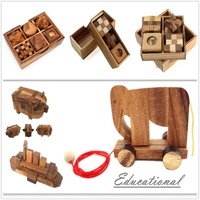 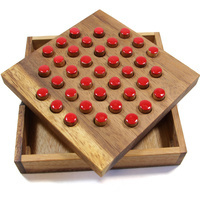 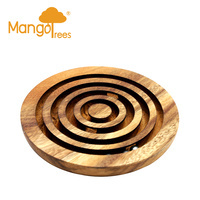 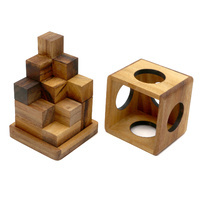 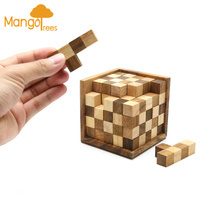 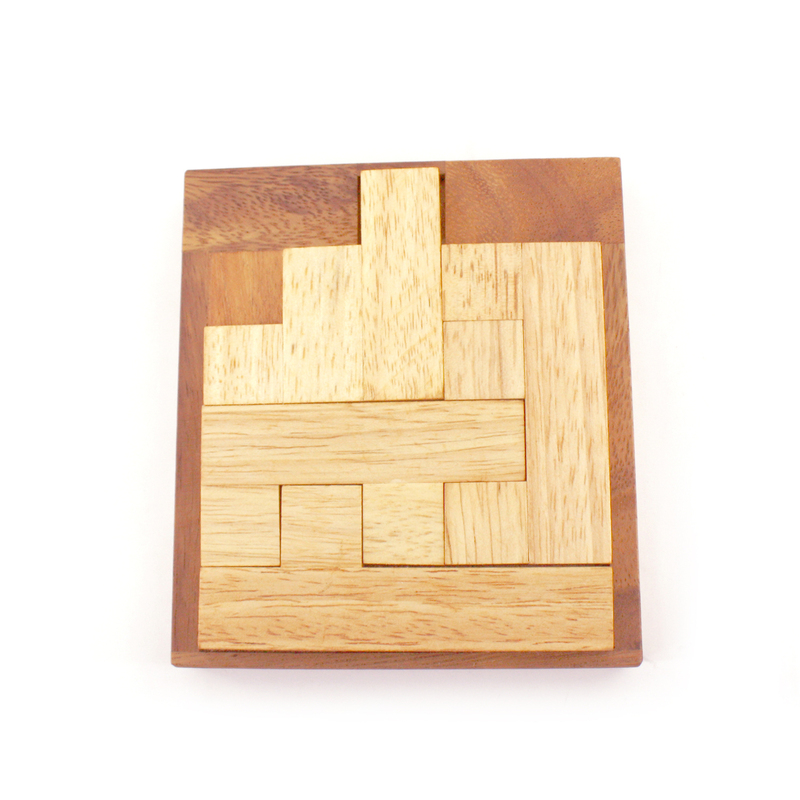 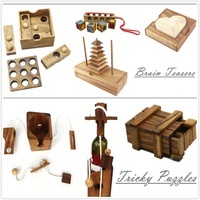 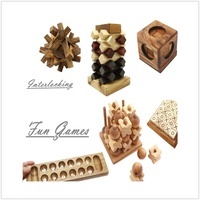 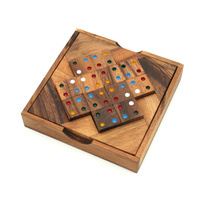 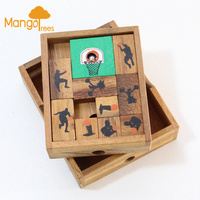 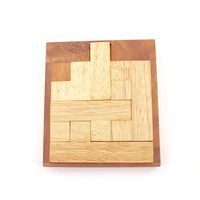 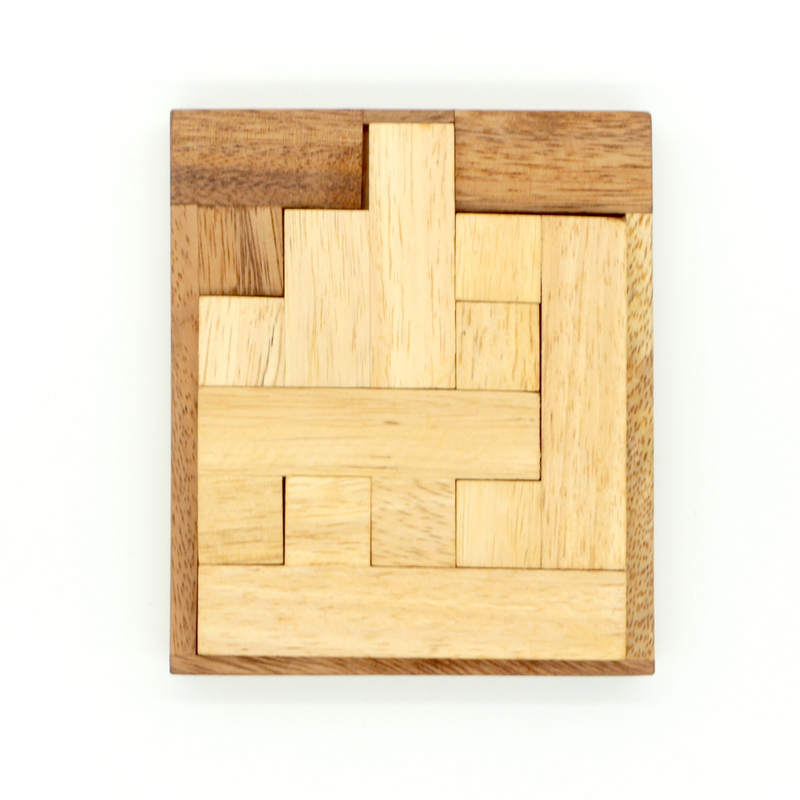 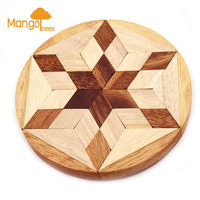 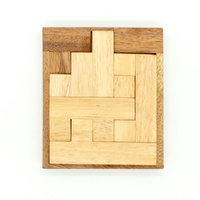 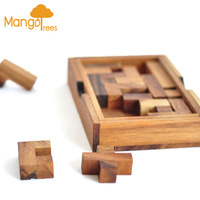 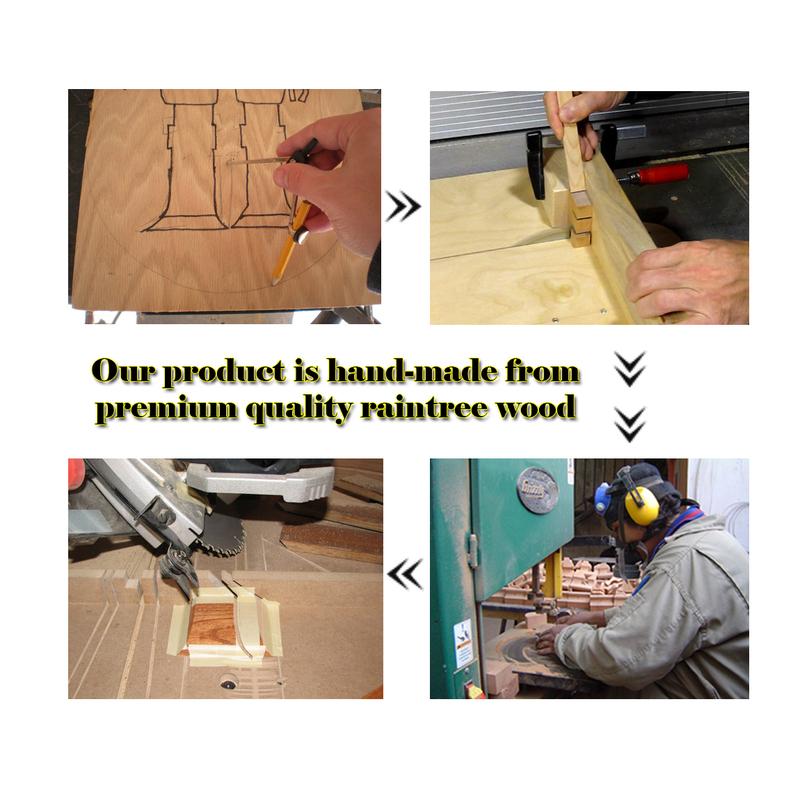 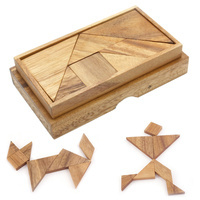 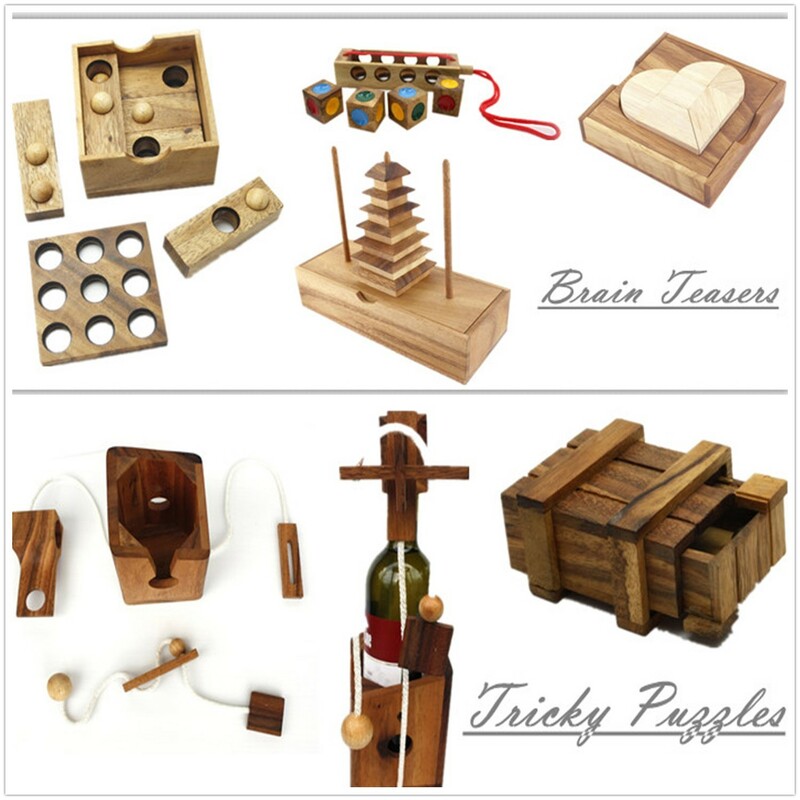 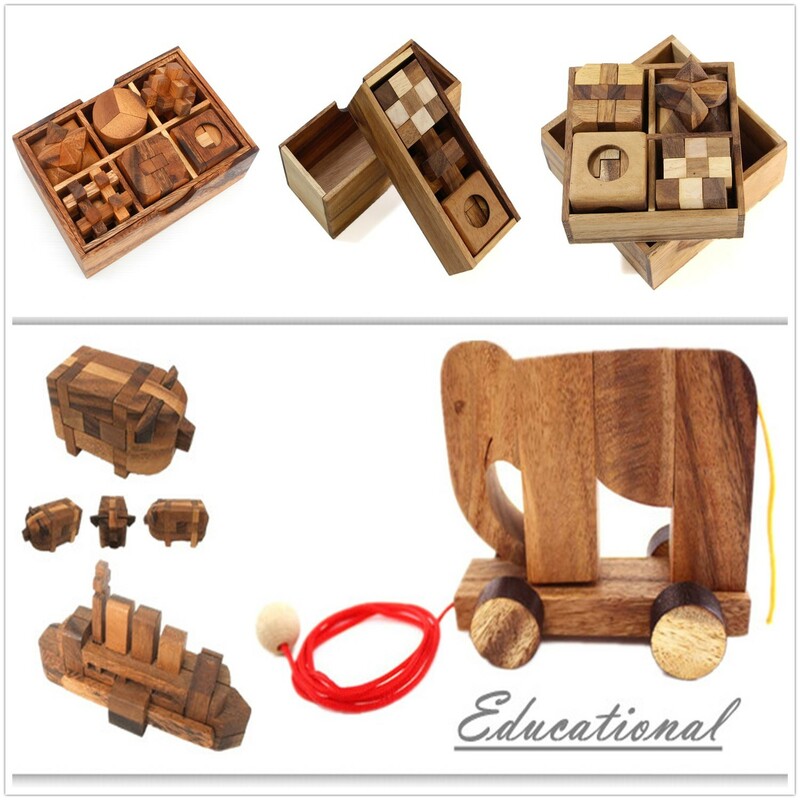 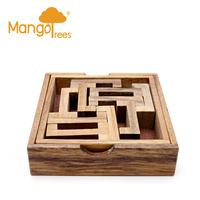 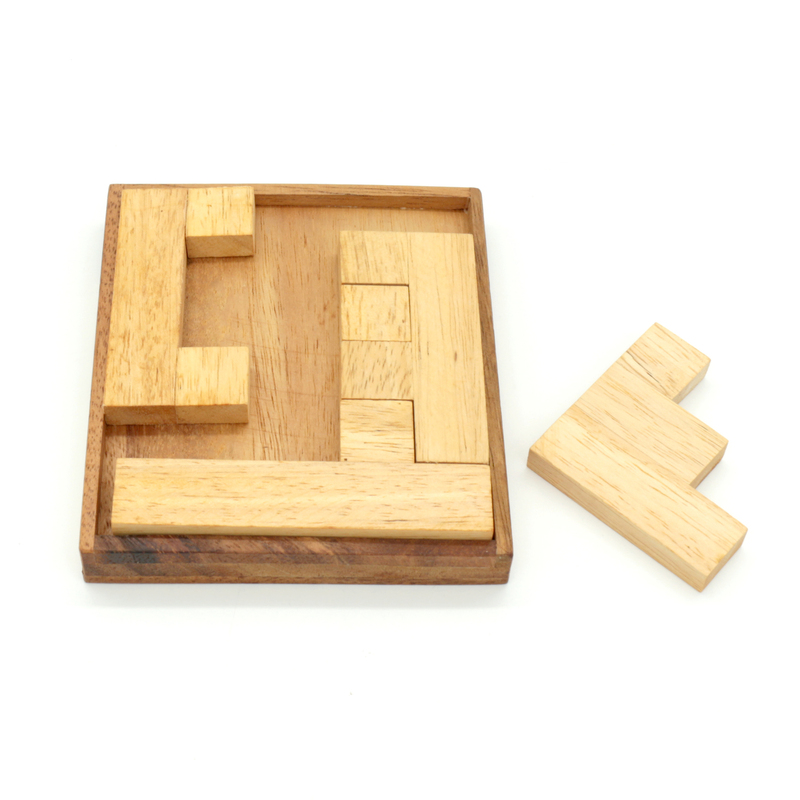 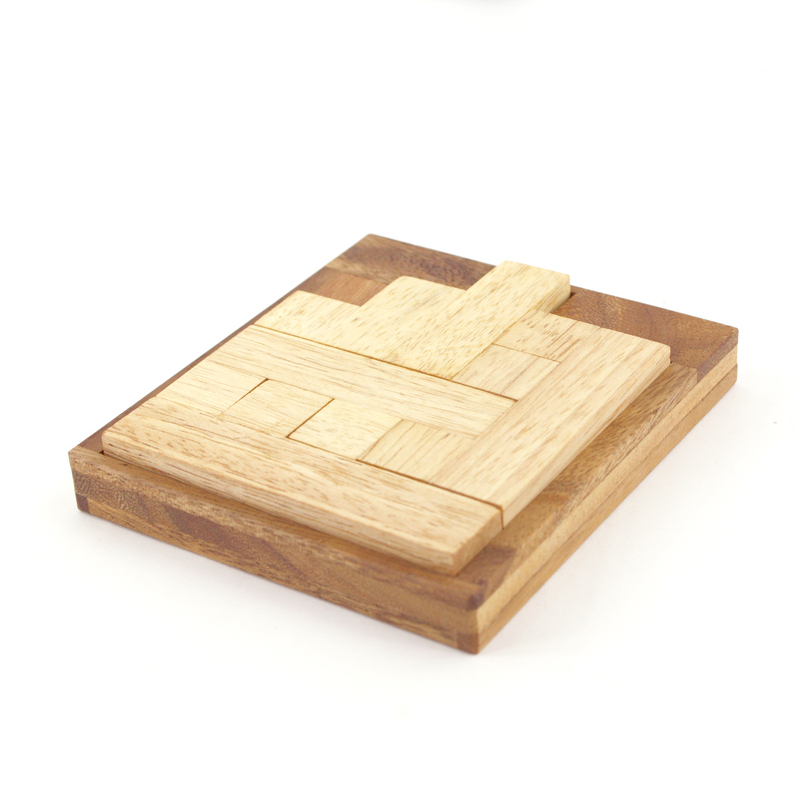 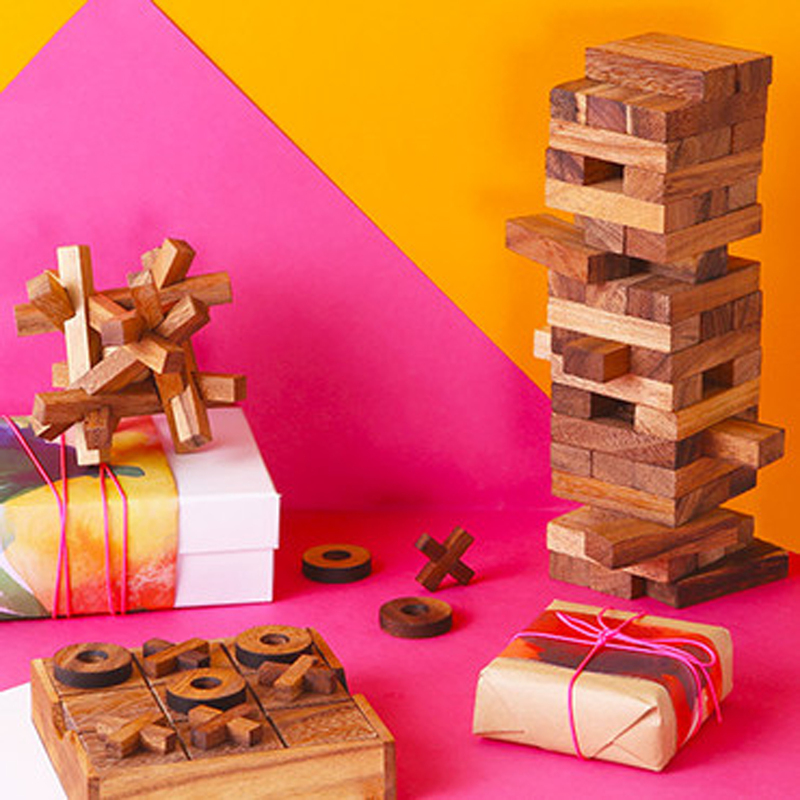 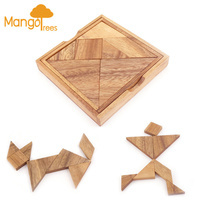 The puzzle is make up of 5 wooden pieces. 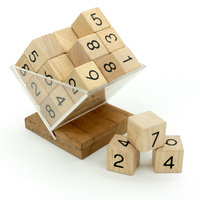 And 2-side frame. 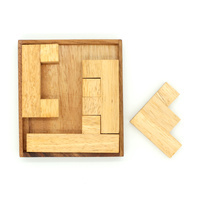 Try to fit the pieces into each side of the frame.